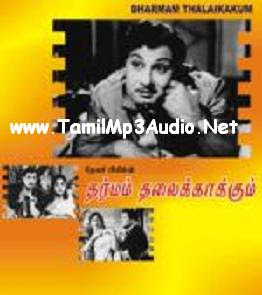 WAtch Online Superhit Old Tamil Movie Tharmam Thalai Kaakum (1963) Starring M.G.Ramachandiran , Sarojadevi , M.R.Radha , S.A.Ashokan , V.K.Ramasamy and Others . This Movie is Directed by M.A.Thirumugam and Music is Scored by K.V.Mahadevan . This Movie is Produced by Devar Films . The Songs in this Movie are great Hit which are written by Kaviarasu Kannadasan .